Hi, I’m Dr. Rob and during the 20+ years that I’ve been in practice, my staff and I have helped over 10,000 patients lose weight and/or improve their unwanted health problems. We have patients/clients that live in 43 other states and 21 other countries; we won the Kudzu Best Alternative Medicine Clinic of the Year in 2013, 2014, 2015 and 2016 and have an A+ rating with the BBB. Our method: If you are over weight and can’t easily lose it with diet and exercise then there is something wrong with your body. If you have a health problem that is not resolving with traditional medicine, then there is something wrong with your body. You need to find the underlying cause to your health and/or weight problem so you can lose the weight, keep it off and get well. In addition, you must do your program. 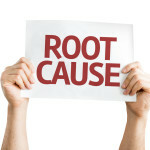 Meaning, in the last 20 years no two patients have ever been on the same holistic healthcare and weight loss program. 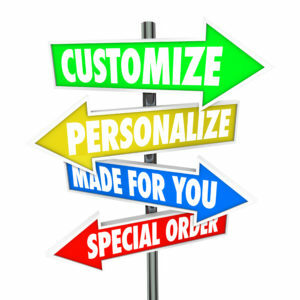 Everyone’s program is completely customized because we are all different. The cause to your weight and health issue is unique to you so your program must be unique to you. Video or Phone Clients: If you live far away we can absolutely help you as about 25% of our client base is from out of state. Here’s are the steps to take. Fill out the Free Online Weight Loss and Health Questionnaire This is a tool that is designed to give us a broad picture of various symptoms that may be related to your weight and/or health concern. It only takes a few minutes to complete. Receive an in-depth conversation with one of our Case Managers. We will review the results of your health questionnaire and give you our recommendations for specific lab testing designed to find the cause to your weight or health concern. We will also review finances so you know the costs of anything before you proceed. In celebration of Dr. Rob’s 20th year in practice, from now until October 31st, your initial consultation with our Case Manager is Free and you will receive 20% off any labs that you purchase. Complete any of the recommended holistic lab testing from your own home or for specialized tests, you will be directed to a blood draw facility near you. Test kits may be for stool, saliva, urine, blood-card or hair and are mailed out to you.. You will then mail them out to the lab from your home. There is are no additional shipping fees to mail labs. In some cases you will need to use a stamp to send in a hair sample if needed. Your test results will be reviewed with you via phone or secure video chat by either, Dr. Rob, Dr. Joe or Dr. Mark depending on the state that you live in. They will also cover and get you started on your fully customized holistic weight loss and/or holistic health program designed to support your unique health and/or weight issues. Although results can’t be guaranteed, our track record working with clients from afar has been excellent. If you are serious about getting your body healthy and/or losing weight then your first step is to fill out our Online Weight Loss and Health Questionnaire and one of our amazing staff will contact you ASAP.